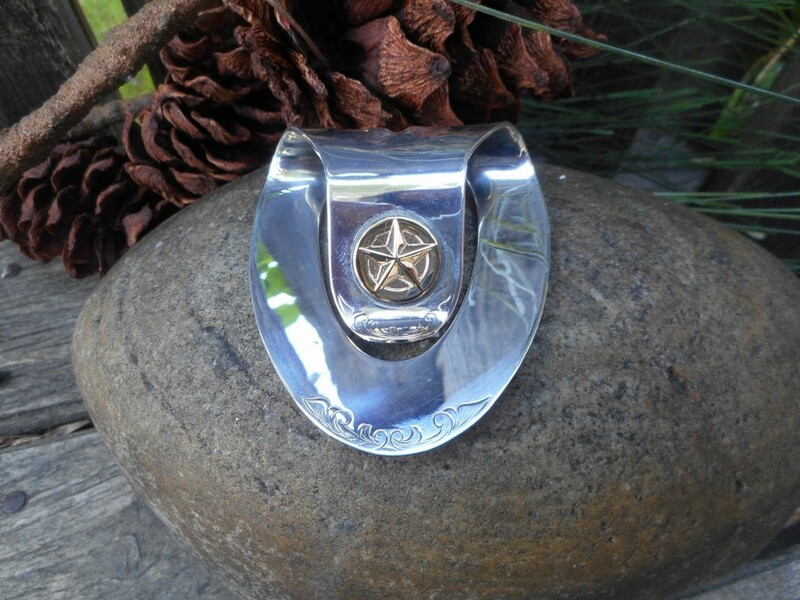 Clint Orms medium sized, bold sterling silver money clip with a 14kt gold Texas star in a smooth finish with just a touch of engraving. Great clip for one who loves the West. 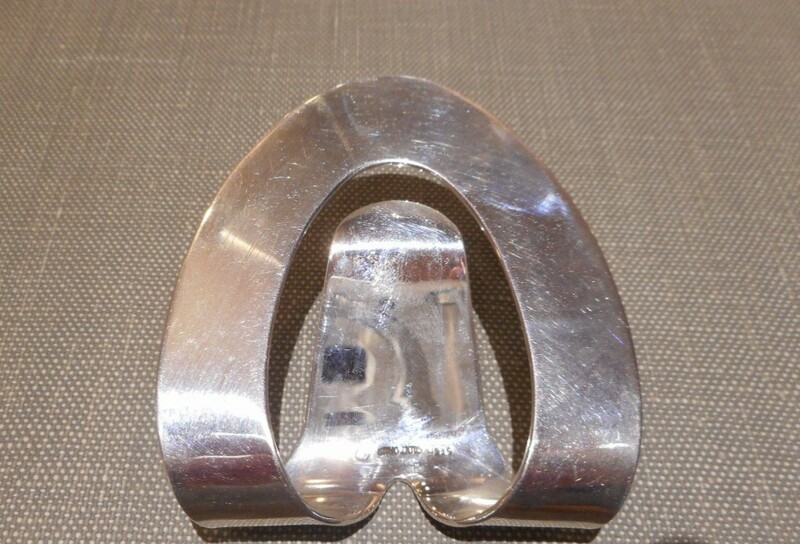 Measures 2 7/8" x 2/1/2". 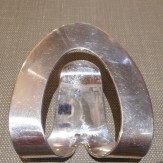 Size: Clip is 2 7/8" x 2 1/2"